Career Horoscopes are very much in demand in today’s time. Many people have proved its worth over the years and are currently enjoying their wonderful present careers. With this, these horoscopes are easily found in many sources. As a part of these sources, the World Wide Web serves the opportunity of providing people with quality career horoscopes. You may easily search for a career horoscope according to your sign. You astrological sign will guide you in choosing the right track or path in your career. Let your reality to not fail you. Remember that, “what you reap is what you sow”. When you plan this early on with regard to your future, you will be assured of acquiring not only the best opportunities in life but also the numerous needs you can consider. For a Cancer person, success is brought by hard work. Without the proper training of acquiring great knowledge in life, a person will not be successful in all fields. A person under this sign greatly strives in order for him/her to be successful. You think that every man’s hard work pays off. This will become your strength in dealing with the business activities and projects that will come across your way. With this, you must also work well with time. This will be your weapon in moulding your secret weapon of success that will lead you to your goal. People under the Cancer sign, are prone to small mistakes. These small mistakes may grow if the proper treatment of such is not taken into consideration. As such, one must be able to pin point small mistakes and correct them immediately. These small mistakes are sometimes the main reason why a certain project does not work. It may continuously add up and finally appear as a major mistake. Let your wise decisions help you in recovering from these mistakes. Remember to weigh down your options before pushing onto your choice. Let the warnings from other people guide you. With this, you may analyze the pros and cons of every aspect of decision in your life. These are some facts to be considered when dealing with the Career Horoscope of a Cancer person. A Cancer person is a hard worker. They want the heavy parts in a certain work load. Once given a tough task, they will never give up until the end is reached or the project is completed. People under this sign are advised to bring out their right image to the public. In this way, you are not concealed in a much lesser or hated image in the society. Let the judgements of the people around you help you to find a better you. You are expected to acquire financial benefits provided that you have put much effort in your work. The question of time is also very important for people under the Cancer sign. They see to it that work is done either on time or before. There are no excuses for late project submissions. 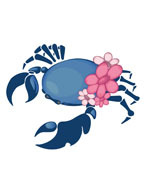 People under the sign of Cancer can be very stubborn and sensitive at times but they work hard to get what they want. They know the value of hardwork and that there is no easy way to achieve success. One of the best characteristics of those under this sign is their caring attitude and thoughtfulness that make them perfect for jobs that provide such services like in the healthcare industry. And because Cancerians want to make a difference, provide care, and work hard for the better good, they also make good politicians. Luck is not what you can call happens to successful Cancerians because they know the value of money and work hard for security. It is easy to make money for everyone, no matter how big or small, but the true test is how the money is spent. Cancerians know this and so they mastered the concept of saving and investing. For Cancerians, money is a status symbol but no one can work this thinking against them because they work hard for every cent of it. When it comes to business dealings, Cancerians innate sensitivity pulls them away from confrontations. Though they avoid being aggressive, it is still best not to push Cancerians. Cancerians also have high respect to their home and this reflects how their deal with their workplace and colleagues. They are very creative. It is also appropriate to say that Cancerians are achievers. Wanting to get the job done but still thinking how others will be affected is the perfect way to describe Cancerians at work. Their career is defined by how much they work hard. Their success is because they climbed the career ladder without stepping on anyone. Their caring nature wins them colleagues that help them go up and reach their goals. The abovementioned traits of Cancerians when put to good use will surely bring success. All Cancerians must know that they are born to be successful but should never be lenient in working hard for it. Success equates hardwork. Cancerians must know that each step they take must be thought upon carefully. And though being sensitive to the needs of others is a good thing, it should never hinder them in getting what they want. Cancerians work best alone but they also make good leaders. They want to always be on top and they make sure that no one will threaten their position. They take pride of their achievements. They are the perfect leader as they give a lot of respect to everyone under them but with this they also expect loyalty. Their social skills are impeccable making them the perfect employee and leader. Being able to secure the future is one trait of Cancerians that can summarize what they are career-wise. Everything they do is all about having a good tomorrow. Working hard, respecting others, and taking care of all hard-earned success describe Cancerians when it comes to career and money. Cancerians are perfect to become teachers, nurses, archaeologists, dieticians, hotel assistants, doctors, and politicians.